Training sales people to follow a consultative approach enables them to better understand customer challenges, values, needs and options. Buyers may be keen to focus on price and its easy for salespeople to fall into the trap of giving away value too early in the process through using negotiating, before consultative selling. There are four fundamental principles that guide our training. When sales people negotiate before or avoiding doing the first three it’s easy for them to destroy value not only for their business, but for the customer as well. Ultimately the deal may turn out to be not as good as everyone had hoped for at the beginning. 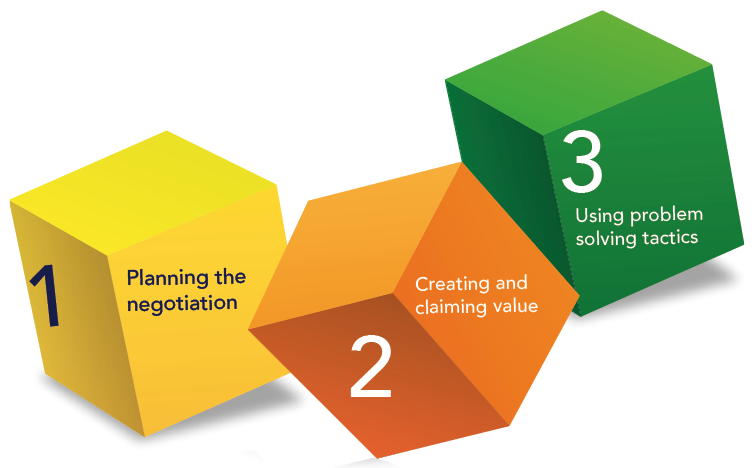 Through asking the right questions, using our QLS skills toolkit we enable sales people to better understand customer needs creating more meaningful discussions. These are what will reveal the pathway to a better negotiated outcome. Better for everyone. The success of the sale can sometimes come before the meaning of and value in the deal (for the supplier and the customer). For this reason, it’s critical to have a structured approach and the resources available to guide decision making, as well as the type of and the timing of communications. Sometimes sales people are left to go-it-alone. This can be disastrous. Not because the individual does not have the skills required, more so because we are all limited by our own biases and perceptions. Having tools that can be used to review and replicate good performance. From understanding the structure or process of a sales conversation to meeting or exceeding customer expectations, PSL training provides the tools that your people can use to differentiate and position themselves to gain more trust and sales. Strategies, skills, tools and tactics that they can use to their advantage in business and personal situations. Insights into human psychology, emotions and biases, which means that they can get react to and influence others in better ways when they need to. The understanding of what threatens negotiator performance. Ways to diffuse negative or destructive tactics. Critical and creative consultative decision-making skills. QLS our questioning skills toolkit and how to deploy it. Training that involves them. Learning by doing and observing. An understanding of how to use customer service or selling before negotiating. How to control the negotiation process, use anchors to maintain momentum and different types of agreement to help people make decisions. The PSL checklists that improves decision making and reactions when under stress. What you think and how you feel does not have to drive how you behave, when you have checks for keeping control. Of course, there’s a lot more to it. But what matters most is that we will work with you and your people to deliver the type, style and content of training that they need.